Have you signed up for Plum District? 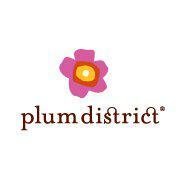 Plum District is a daily deal site, similar to Groupon that offers discounted deals for Moms, babies and families. Their saves encompass everything from clothes to food to entertainment and tons more. The site is super user friendly and I have had nothing but positive experiences when ordering from them. Right now between 4/1 and 4/27, you can save 20% on any Philadelphia area Plum District deal when you use code clubmom20 . What a great time to try out the site if you haven’t already done so. Be sure to come back and let me know what you think once you give them a try!